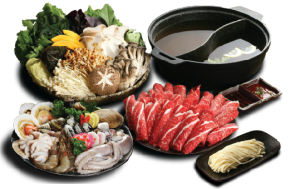 Our traditional Japanese Shabu Shabu hot pot in Los Angeles is healthy, hardy and satisfying. At Shabuya we pride our self as a “Traditional” Shabu-shabu establishment. 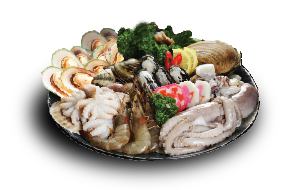 We specialize in a much healthier style of Shabu-shabu dining, relying on the natural tastes of the meats and vegetables to accent each other in the pot. Slightly improving and tweaking the original sauces, we have developed into a Shabu-shabu restaurant which is not only authentic and nostalgic but also adventurous. Traditionally Shabu-shabu しゃぶしゃぶ is prepared with thinly sliced beef, though modern preparations sometimes use pork, seafood and sometimes chicken or Lamb. Most often, tender Ribeye steak is used, but less tender cuts, such as Top Sirloin are also common. 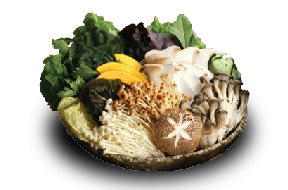 It is usually served with vegetables, including Cabbage, Shiitake Mushrooms and Enokitake Mushrooms. Alright I hope to come here everyday because it is so damn good. I live in downtown and I really wish they opened a location in downtown because I think it would be trendy and successful. Cool place to come on a date or hang out with a couple of friends. Great shabu. Great price. Great servers. Everything is too great! Came and got seated right away. Decor is clean and nice. Friendly and fast service. Food was really good. Price is fine compare to other shabu places. Really satisfied with beef quality. Other than that, this place is still my #1 go-to spot! The food was good. I would definitely come here again to eat, and the service was awesome too. The best thing I like is pay low price and have high quality foods as much as I want. I will come back for the food. Definitely a future go-to spot for Shabu. Address: 147 N. Barranca st. Address: 1925 W. Olympic Blvd.